Without doubt the greatest personal challenge I’ve faced as a teacher was moving from the Sixth Form college in Wigan where I started teaching, to Holland Park School in London in my mid-20s. Having established the idea in my mind that I was a pretty good teacher, it was a massive shock to discover that in my new context, I was a novice. It was humbling. To begin with I struggled just to get a class to listen (suffering routine humiliation at the hands of a certain Year 9 class) and I went through a terrible phase (2-3years?) of being an appalling shouter, regularly losing my temper and committing various teacher atrocities (such as throwing a student’s book down the stairwell and telling him to get out and never come back at the top of my voice…). I got better, grew up a bit and learned how to manage my emotions and to always be the adult in the room. But it was hard. Later I discovered the seminal Bill Rogers’ video series and watched them back-to-back. Oh, why hadn’t I seen these sooner!? No contest, from all the CPD I’ve ever engaged with, these videos have had by far the greatest influence on me and my philosophy of teaching. Positive Correction: the basic premise that teachers and schools should adopt a non-confrontational approach to discipline, based on positive teacher-student relationships, respect for the dignity and rights of individuals, choices about consequences of behaviour and encouragement for student self-discipline. Consequences: have a clear structure that students understand and use to inform the choices they make. Repair & Rebuild: the imperative to work hard to build and repair the damage that is done when things don’t work out. I can’t do justice to it all in one post, but here are my highlights. This thinking made me realise I was one who would pick up on the late-comers, the noise makers and the students off-task, at the expense of reinforcing the good behaviour of the majority. Is so much healthier for all concerned to swap that around. I find it applies to homework too… focus on the bits you get in, rather than the ones you don’t. After watching Bill Rogers, I found myself saying ‘thanks’ all the time.. and it makes a difference. Classic parenting techniques that work brilliantly. James, you can go next door to work with Mr Anderson or you can work sensibly with Andy as I’ve asked. Richard, you can do exactly what I’ve asked or get a C3 detention as you were warned earlier. When you have finished tidying up your area… then you can sit wherever you want…. This works so much better than crude belligerent ‘do what I say’ command language. Students are in the bubble of their own a lot of the time. Just because you start talking, doesn’t mean they hear you. Make a deliberate pause between gaining a student’s attention and a direction to ensure they have had sufficient ‘take up’ time. Eg. “Michael pause…David…pause…could you face this way and listen, thanks”. You gain their attention, with eye contact, before you say what you want to say. Try it…. This avoids the horrific teacher domineering – “come here Boy!” nonsense. Simply, “Michael…(pause to gain attention)… come up here a sec please.” Then deliberately look away… talk to someone else. Michael will come. He just will. In his own time. It works – try it. It also works in the corridor. “John, come over here for sec please… then walk away to a private area, away from peers. John will follow – and not lose face.” You can then have a quiet word about the behaviour without the show-down. This refers to the establishment phase with a new class. Right from the start, anything you allow becomes established as allowed; and anything you challenge is established as unacceptable. The classic is noise level and off-task talking. If you do not challenge students who talk while others talk, you establish that this OK; it is no good getting bothered about it later… Similarly with noise level. If you ask for ‘silence’ and then accept a general hubbub – then your message is ‘silence means general hubbub’. If you want silence – you have to insist on it. Bill Rogers is great on this whole area of planning for behaviour; investing time in setting up routines – a signal for attention, how you come in and out of the classroom, the noise level. Talk about it explicitly and reinforce it regularly. The start of a new term is a good time. At any point, if you are not happy with the behaviour in your lessons, you have to address it explicitly. Otherwise, the message is that you accept it. Don’t be an Indecisive teacher: hoping for compliance but not insisting; being timid in the face of a challenge; pleading not directing. Be an Assertive teacher: This teacher expects compliance but refuses to rely on power or role status to gain respect. The teacher plans for discipline, uses clear, firm direction and correction, but acts respectfully, keeping the aims of discipline clearly in mind. In all honesty, the most common problem ‘weak teachers’ have, in my experience, is that they are not assertive enough; it is their Achilles heel. The tough part is that this comes with experience for many. I have learned to be assertive without being autocratic…and actually that is easier than learning to be assertive if you’re not. But you have no choice – it is a key teacher skill that needs to be worked on. Most great teachers establish very clear boundaries. How? Well, usually, this happens through the occasional dose of ‘controlled severity’. A sharper, harder corrective tone that conveys: “No! You will not do that –EVER!” Followed quickly by a return to the normal friendly, warm tone. Ideally, the simple sharp reprimand is all that is needed – that cross tone that says: “I still love you dearly, but you know that is beyond the boundary and you know I will not tolerate it again”. Most teachers regarded as ‘good with discipline’ only need to use the severe tone occasionally – because it works and the class remembers. As with parenting, the art is getting the balance: not overused or generated from real anger – thus de-sensitising children OR under-used and ineffectual. 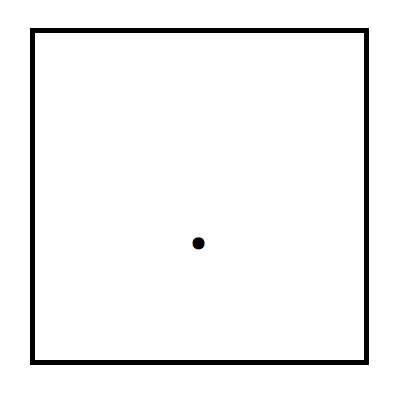 In both of these cases the boundaries are hit constantly because there is uncertainty about where the boundaries are. With good ‘controlled severity’ the boundary is not hit so often –because the kids know exactly what will happen. Like a low voltage electric fence! You know where it is, without nagging or constant negotiation, and you know exactly what happens if you touch it – so you don’t go there. The key is that the consequence is certain to happen – not the level of severity. Teachers who can never sound cross often struggle. Similarly, teachers who allow genuine anger to build up – also struggle; these are the shouters (note to younger self.) Worst of all are teachers who shout but then don’t follow up with the consequences. All these groups need to seek help and get help. Bill Rogers has a strong line on teachers being able to model the behaviour they expect. This includes not wanting the last word. Partial Agreement is an essential strategy for avoiding or resolving conflict. It means teachers not trying to have the last word, or asserting their power in a situation when a student disputes their judgement. Teacher : “OK, Maybe you were but now I want you to press on to finish the task. 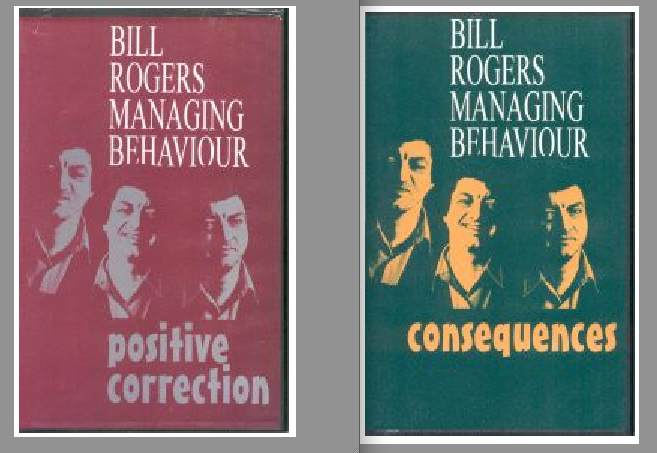 The overriding message that I took from Bill Rogers is to recognise explicitly that behaviour is about emotions and associated traits: confidence, self esteem, peer relationships, group acceptance, empathy, belonging, resilience, .. and all the opposites. Crucially, this is for the teacher and the students. There is just no excuse for an angry outburst that has no resolution; for forcing a child into an emotional corner through power or using sarcasm to humiliate. We are the adults. BUT –we are human and we sometimes fail to manage. Sometimes, things go wrong and as teachers we put ourselves on the line emotionally all day. No other job is like that – where you risk being burned by a teenager just because you ask them to do some work. So, Bill Rogers urges us to acknowledge our emotions – and, for me, this helped hugely. If you do ‘lose it’… acknowledge it.. “I am angry because….’’; “I am raising my voice now because I’m so frustrated…” And then, after a cool-off, as soon as you can, model the behaviour you want to – calm, measured, warm, encouraging and showing you care. ‘Repair and Rebuild’ is a great concept. Sometimes, the trick is to take the most difficult student aside, away from a lesson and build up a rapport so that they see you as human – and you see them as more than just a naughty brat. As with all these things, it is a question of assimilating the philosophy, practicing the strategies and changing habits over time. It takes time. But I wish I’d met Bill a lot sooner than I did! « The Learning Arc: It takes the time it takes. It is so good to read your personal experience as I am going towards a similar phase. I was teaching in South East Asia and China before and I never had an issue but I am struggling in my current school. I thought I was doing a reall good job and I only had praise. However, my self steem has gone down the hill and no matter how well you prepare your lessons, if you do not have a strong sense of behaviour management, everything goes to pieces. Thanks for sharing your ideas and experience.